Review: At one point in the outright terrible Jack Reacher: Never Go Back, Tom Cruise says to a character, “That was really stupid. Please don’t ever do that again.” I think I speak for the entire movie-going public by saying, ‘Physician, heal thyself.” While 2012’s Jack Reacher wasn’t the kind of sizable hit that had tongues wagging, I felt it was a quite entertaining action flick and a nice opportunity for Cruise to push beyond his clean-cut hero image and latch onto a character with some demons to deal with. Though Cruise didn’t fit the description of the former US Military Police officer author Lee Child has featured in twenty novels over the last two decades, he won over most of his naysayers and with Cruise’s A-List status reestablished by a string of hits (Mission: Impossible – Ghost Protocol, Edge of Tomorrow, Mission: Impossible – Rogue Nation) a sequel was easily greenlit with Cruise serving as main producer. Of all the novels that could have served as the inspiration for the sequel, it’s surprising that Cruise and company gravitated toward Never Go Back which is one of the newer novels in the Jack Reacher series. Though well-reviewed, it finds Reacher far along in the arc Child has developed and its transition to the screen is seriously flawed under the pen of Richard Wenk, Marshall Herskovitz, and director Edward Zwick. 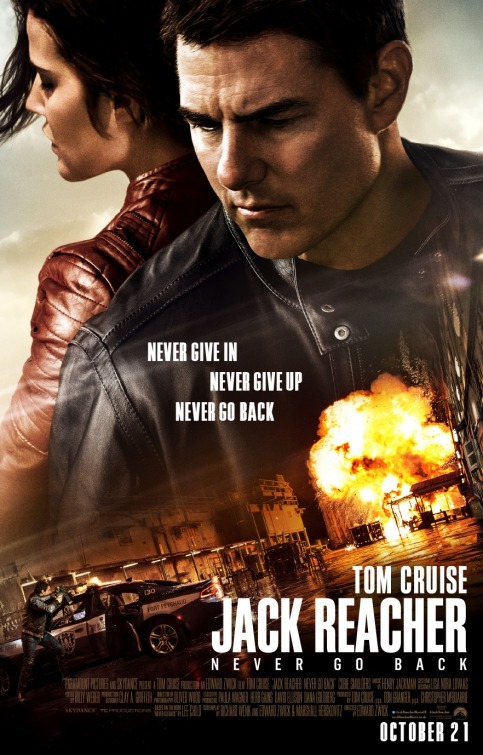 The dialogue is dreadful and the plot about black market weaponry and drug trafficking is so non-existent that when it finally does circle back to Reacher and fugitive Major Susan Turner (Cobie Smulders, Captain America: The Winter Soldier) out to clear both their names it’s treated more as a pee break opportunity than a climax. Even worse, Reacher is identified as the possible father of a teenager (Danika Yarosh) and wouldn’t ya know it, when he gets involved the bad guys target his supposed offspring so she has to go on the run with her maybe-Daddy. All the while, the trio are pursued by a horde of easily bested bad guys led by a man (Patrick Heusinger, Frances Ha) identified in the credits only as The Hunter. There are a heap ton of ensemble players and all look more excited to be in a scene with Cruise than they do about playing poorly written throwaway roles. In his last few movies, critics have singled out Cruise’s supporting players and leading ladies as highlights and I think he must have started taking that personally. In Jack Reacher: Never Go Back, everyone other than Cruise seems to have been selected because they are so out of their league with their megawatt star. I’m stunned Cruise deigned to share screen time with Smulders who was barely a serviceable actress on television. Getting every single one of her line readings wrong, her character whines about Reacher not respecting her as a woman who can hold her own…while wearing a short robe casually opened almost to the navel. If there’s supposed to be chemistry between the two, the formula didn’t pan out because they look like people that grabbed for the same magazine in the dentist office and just continued to talk. As Cruise’s daughter, Yarosh is giving me Anna Paquin meets Patricia Arquette, minus any of the talent or charm that brought both actresses Oscars. Uncomfortably awkward and sullen for 90% of the film, you’re praying Reacher doesn’t end up being her dad lest she be guaranteed a spot in a future sequel. I’m not quite sure what happened with Heusinger’s hitman, he’s supposed to be a highly trained special ops killer but is outwitted and outplayed by almost everyone he comes in contact with. If he kills someone, it almost feels accidental because he’s so grossly unbelievable in the role. Though Zwick had early success in his career with Glory and Legends of the Fall, this represents a career low for him (and Cruise, and everyone else). Had Cruise not been in this and the Jack Reacher moniker been stripped, I could see the entire production being moved to a comeback vehicle for Jean Claude Van Damme and it making some decent money. It’s so bad, I half expected Cruise to turn to look at the audience and yell “Suckers!” before starting over again with a different cast and script. 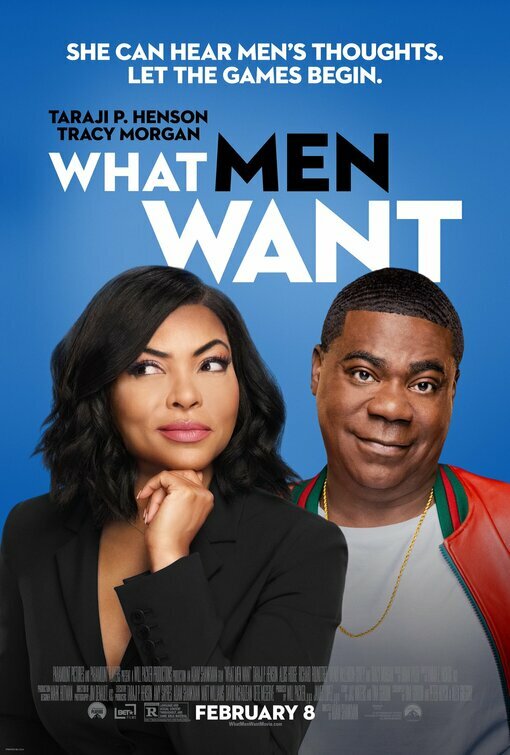 Edited poorly with no continuity of time and place to speak of, the movie feels like it was put in a blender and assembled in the dark as part of a community service project. The only act of kindness that can happen for Jack Reacher: Never Go Back is to have it wiped from our memory and Cruise be allowed a re-do. Synopsis: A team of African-American women provide NASA with important mathematical data needed to launch the program’s first successful space missions. Thoughts: Who’s ready for a history lesson? I certainly am after catching the trailer for Hidden Figures, a period drama which looks equal parts comedy and drama and represents a strong showcase for its trio of appealing leads. 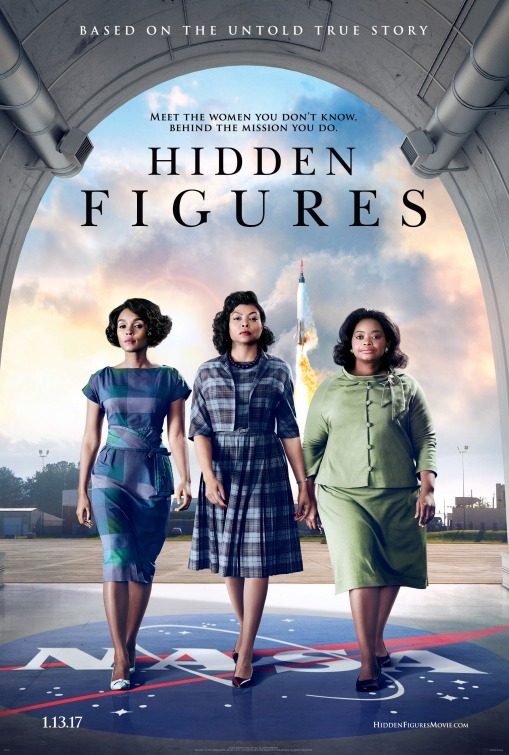 Oscar-nominee Taraji P. Henson (Top Five) stars as a NASA employee during the space race fighting to combat the inherent racism and sexism she and her colleagues (Oscar winner Octavia Spencer, Zootopia, and Grammy winner Janelle Monáe) face. Joined by Kevin Costner (Draft Day), Glen Powell (Everybody Wants Some!! ), and Kirsten Dunst (Midnight Special), this one is sneaking it right at the end of the year before the Oscar deadline. Could 20th Century Fox be counting on this becoming the sleeper hit it has the potential to be?